An airstrike has just left at least 27 people dead at a hospital in Aleppo, Syria. Al Qud, the pediatric hospital that was bombed, was supported by Doctors Without Borders and the International Committee of The Red Cross. A small hospital with 34 beds, staffed by 8 doctors and 28 nurses, Al Quds has now been completely demolished by the bombing. Among the victims of this tragedy was one of the last remaining pediatric doctors located in Aleppo. 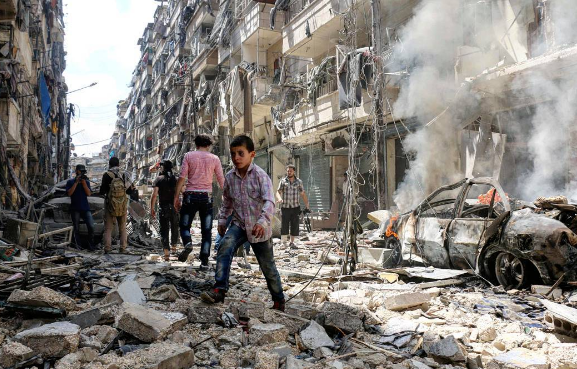 This city, held by rebels in support of Assad’s regime, has experienced increased violence for the past week. During the past 6 days, the civilian death count has reached 148. Of that number, 49 are fighting on the side of the Syrian government while the other 99 were in support of the rebel forces opposing the government. Syrian, Russian, and US governments have all denied responsibility for this attack. US military officials claim to be at least 12 miles north of Aleppo.